Eleanor Morse’s rich and intimate portrait of Botswana, and of three people whose intertwined lives are at once tragic and remarkable, is an absorbing and deeply moving story. In apartheid South Africa in 1977, medical student Isaac Muthethe is forced to flee his country after witnessing a friend murdered by white members of the South African Defense Force. He is smuggled into Botswana, where he is hired as a gardener by a young American woman, Alice Mendelssohn, who has abandoned her Ph.D. studies to follow her husband to Africa. When Isaac goes missing and Alice goes searching for him, what she finds will change her life and inextricably bind her to this sunburned, beautiful land. Eleanor Morse is the author of An Unexpected Forest, which won the Independent Publisher’s Gold Medalist Award for the Best Regional Fiction in the Northeast U.S., and was selected winner of Best Published Fiction by the Maine Writers and Publishers Alliance at the 2008 Maine Literary Awards. She lives on Peaks Island, Maine. 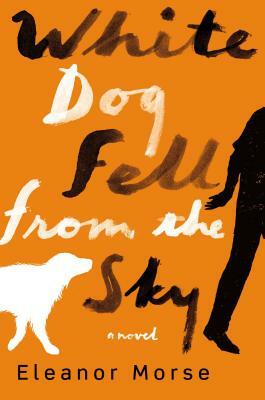 The White Dog is a constant presence throughout the book—an important part of the novel but not in the forefront of the action. What does the White Dog mean to you? What did you think of the way the story was told from varying points of view, alternating between chapters? Was this an effective way to tell this story? In talking about Amen, Isaac says he understands why a woman could love him, "He'd mastered fear. He knew what his life was being lived for " (p. 47). Discuss the different forms of masculinity evidenced by the characters of Amen, Isaac, Lawrence, Hasse and Ian. Isaac says, "Every person alive thinks they are the center of the universe, that they are everything, when in fact each of us is less than nothing" (p. 48). Do you agree? Discuss the role of marriage and marital fidelity among the characters in this novel. What types of marriages and unions are forged and tested in the novel? Isaac is a refugee, displaced from his home and family by necessity. Alice is an expatriate, living far from her native Cincinnati by choice. They both miss their homes. How does living as outsiders affect Alice and Isaac? Alice is a part of a community of white Americans and Europeans working in southern Africa. Are they helping or hurting the native people? Isaac has a great sense of duty and obligation to his family back in South Africa. He holds himself to high standards of integrity and is committed to providing a better life for his family. How does his sense of duty compare with those of the young men and women in this culture? Ian has never been able to imagine a conventionally domestic life for himself. If his story hadn't ended as it did, do you believe that he and Alice would have been able to create a life together? How much did you know about apartheid, the African National Congress and the political situation in South Africa before reading this novel? What did you learn from Isaac's story? When Alice and Ian head off together for their time in the Tsodilo Hills, he shows her his journal in which he has recorded a story of creation from the San Bushmen: "The San people say this is where the world began . . ." (p. 173). What similarities does this creation story have to others you know? Do you have hope for Isaac at the end of the novel?